Pizza is always what we crave while watching football or basketball. And this is the perfect way for every person in the family to get exactly what they want in their own personal pizza. It's so easy - the kids can help too! Go Irish! Go Hoosiers! Go Colts! Go Peyton! 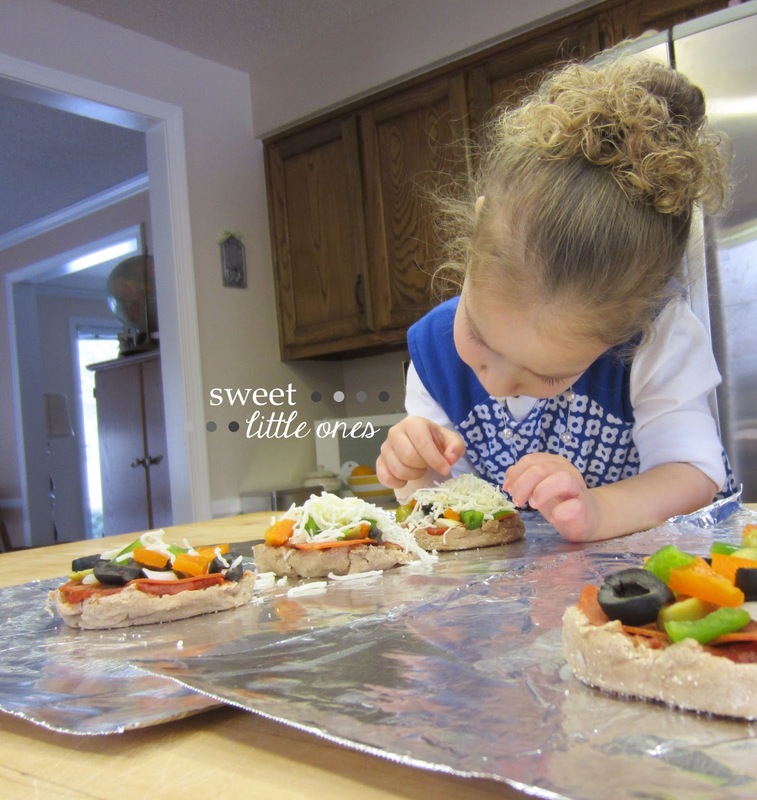 Pizza toppings: pepperoni, onion, peppers, sausage, olives, whatever you like! 2. Break English muffins in half lengthwise. Lay desired number of muffins (outer side down) on a cookie sheet (or on a large piece of foil if you're going to freeze them). 3. Spread on pizza sauce. Place desired toppings on each one. 4. Sprinkle on cheese and gently press to flatten. Sprinkle a little of all the spices if desired. 5. Bake for 12-15 minutes or until cheese is golden brown. Notes: These can also be made into mini frozen pizzas to save for a rainy day. Complete directions #1-4. Lay flat on a large piece of foil (enough to be brought over the top of one layer of mini pizzas). 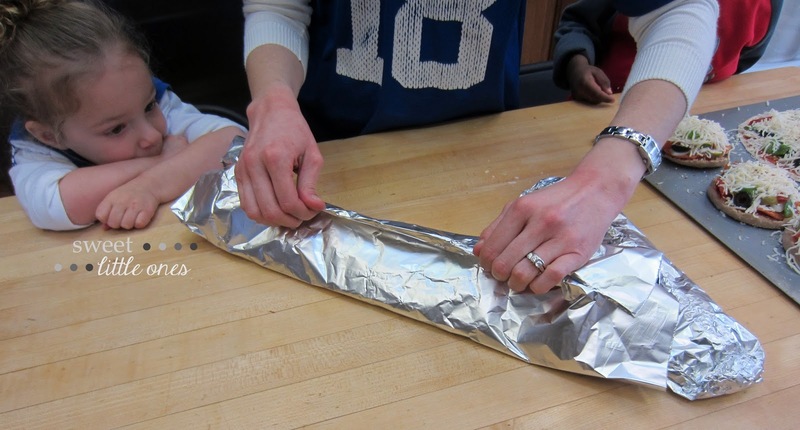 Bring foil up and around pizzas pinching very well at all the seams and making sure pizzas stay flat and in 1 layer. Label foil with contents and date, or label freezer bag and place wrapped pizzas inside. Freeze flat on a cookie sheet. When you're ready to eat them, get them out the night before to completely defrost in the fridge. Then continue on with #5 above! I've never taken the pizzas straight out of the freezer and put them in the oven. If you try it, you will probably have to add more baking time. And if it works well, let me know! 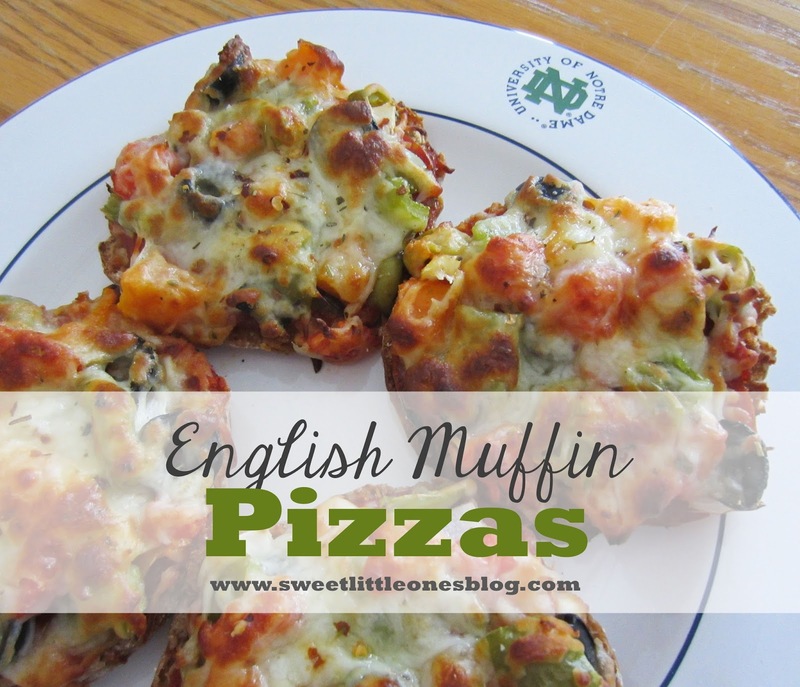 We always have these English Muffin Pizzas for little "parties", like for football games, the Super Bowl, New Years, March Madness basketball games, or just for a fun winter "picnic" inside the house. These would be really fun for a kid's birthday too. 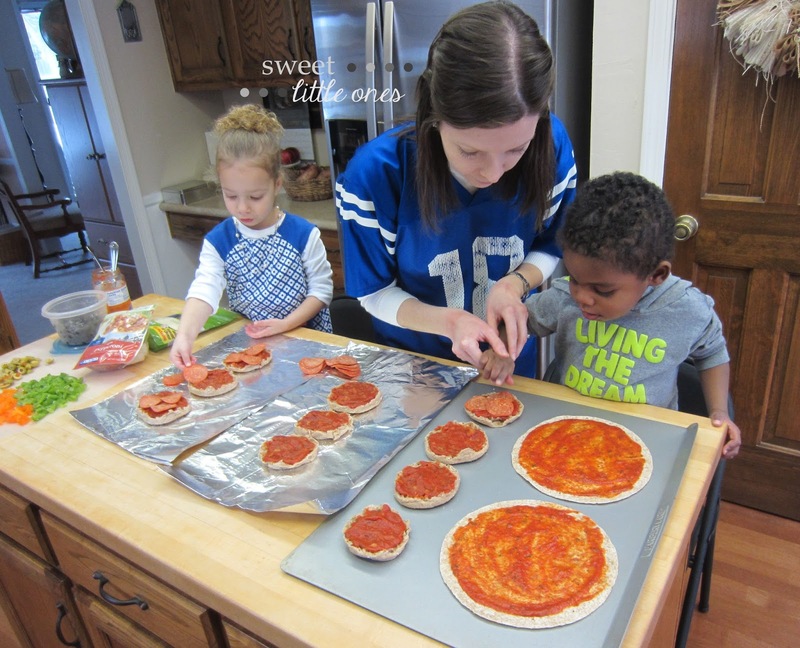 Every kid could make their own pizza with the toppings they like. What a fun, versatile recipe! P.S. I found this recipe on Pinterest so long ago that I have no idea where I got it from. So that's why I don't have a source. If someone knows the original source, please let me know, and I will absolutely give them credit. 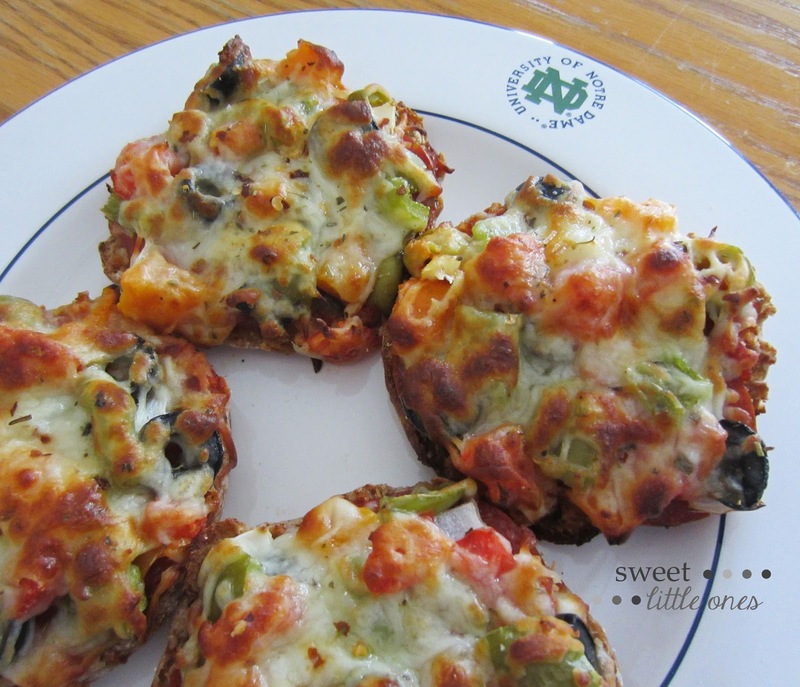 Love english muffin pizzas. I have never froze them before but that is a GREAT idea! sites and hope we can connect on those. Can't wait to read more of your blog. This is such a great idea. 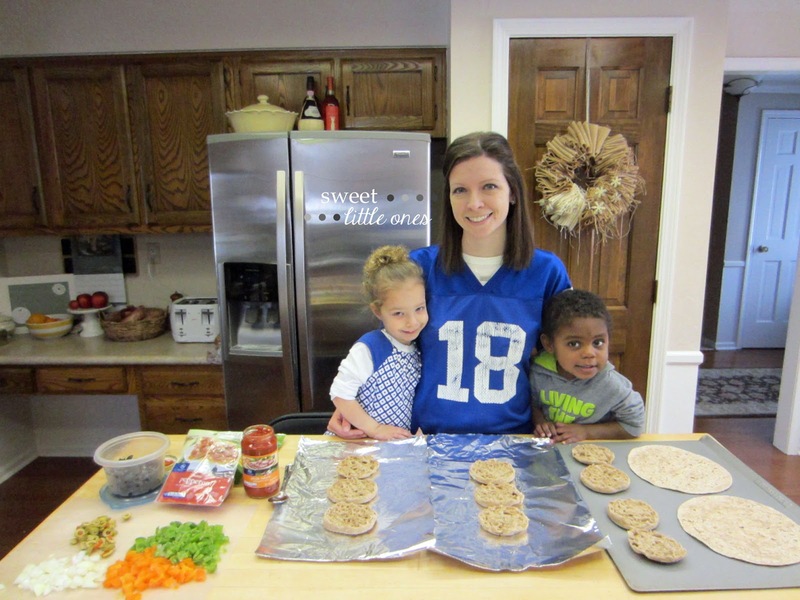 We love pizzas and I've been looking for ways to get the kids involved in preparing our meals. I'll be sure to try this. 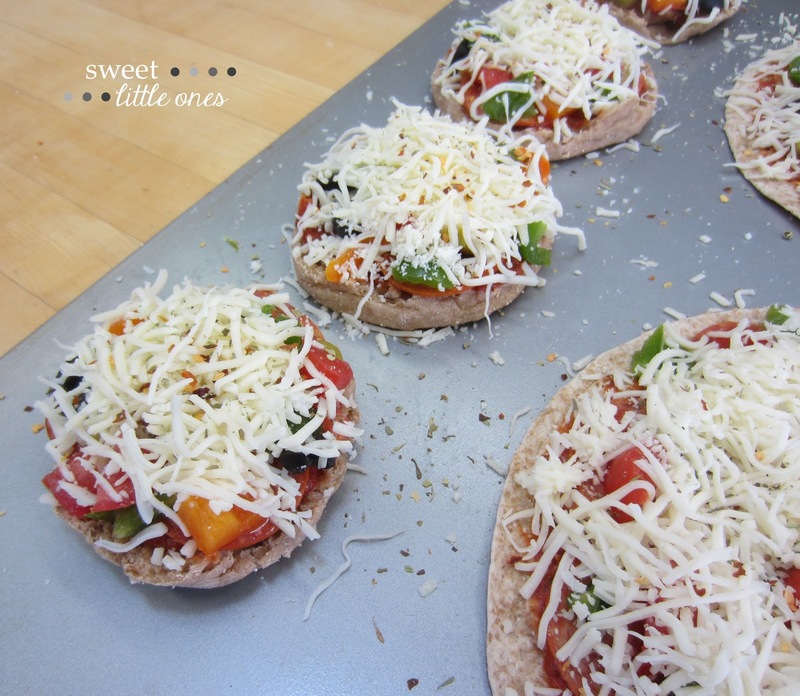 I've always loved English muffin pizzas and recently thought of starting to make them for Hendrik for quickie lunches - he loves them too! This whole make ahead and freeze thing is once again going to rock my world :) Thanks for sharing on the linkup! We eat English muffins with jam for breakfast all the time, but I have never made pizzas with them. They look delicious and fun to assemble!